If you have followed the previous month’s ‘Hey Siri’ media event that was hosted by Apple, iPad Pro will hit the stores on November, with DigiTimes quoting later on a number of supply chain sources that the earliest shipments, in limited quantities, will begin in mid-November. 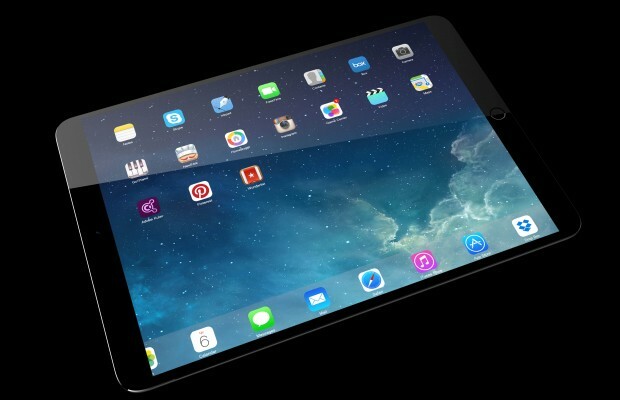 iPad Pro is an upcoming tablet computer designed, developed, and marketed by Apple Inc. Announced on September 9, 2015, the tablet features a 12.9-inch screen, larger than that found in other iPad models. Three configurations are available: Wi-Fi-only models with 32 GB or 128 GB of storage space, and a 128 GB model with cellular connectivity. Japanese blog MacOtakara, which has previously shown to have very reliable Apple-related news tidbits, put out a new report claiming that the jumbo-sized iPad will be present in gadget shops already on the first week of November. The reasoning behind this move is Microsoft’s desire to launch a next-generation Surface Pro laptop/tabled hybrid, and Apple is working hard to maintain its competition. All this information is supposedly based on MacOtakara’s sources that are located in China. The blog also insisted that the Apple Pencil will be also available for purchase when the iPad Pro is first launched; Steve Jobs was opposed to the styluses for the longest time, which in turn made Samsung’s styluses very popular with the general public. It is quite possible that the Apple decided to publish the iPadPro earlier than announced because Microsoft started its holiday season early with a special press event held in New York City. The fourth-generation Surface Pro is expected to be one of the major unveilings during the event itself. It is rumored that the starting price for a brand new iPad Pro will be $799 for the Wi-Fi model with 32 GB of storage space available. The version which offers a staggering 128 GB of storage space will fetch a neat price of $949. The flagship 128GB Wi-Fi + Cellular iPad Pro is priced at $1079. The Apple Pencil will cost $99 and the Smart Keyboard will be $169.